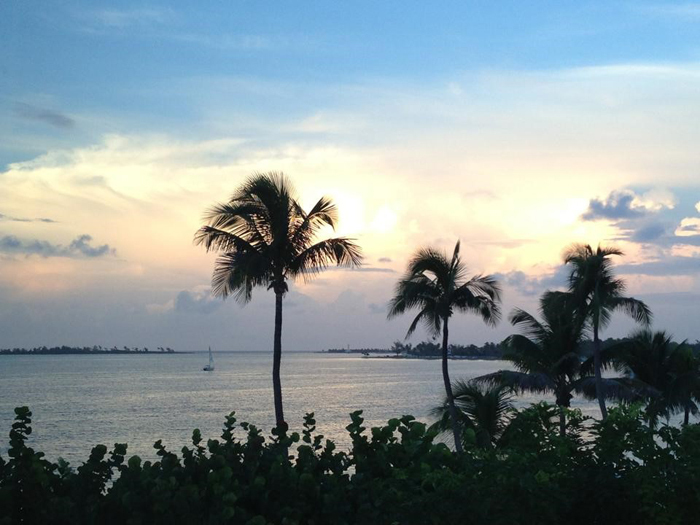 I’m sure you have heard the saying “It’s better in The Bahamas” – well it certainly is! The vibrant streets of downtown are always packed with tourists and locals. Whether you are interested in doing some shopping, or content with taking in the sites downtown, this exciting city has a lot to offer. Your ears will love the sound of the steel drums and your eyes will widen with excitement from all the bright, colourful huts. If you are like me and enjoy looking for little trinkets to take home with you, you cannot miss the straw market. 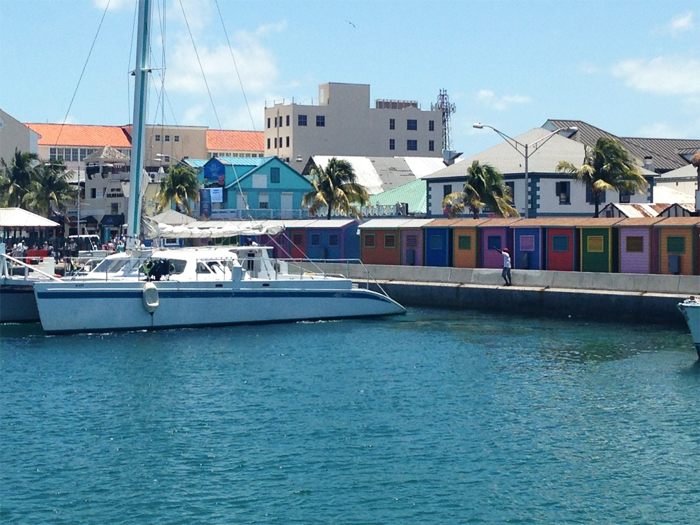 This market is filled with unique crafts like wooden sculptures and handmade jewellery made by Bahamians. Nassau has some of the most stunning beaches I’ve seen. The depths of the turquoise ocean meeting with the hot soft sand is something really unforgettable. Whenever someone says Nassau, the thought of Atlantis isn’t far behind. This masterpiece of a hotel is located on Paradise Island and is something really spectacular. 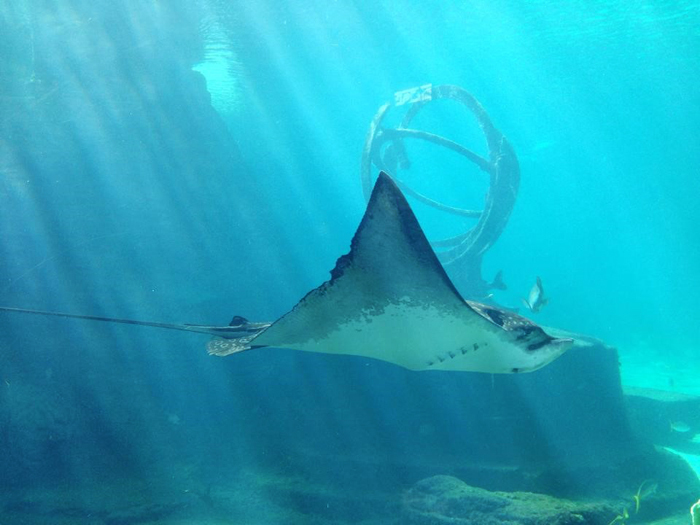 Within Atlantis there is something to do for all ages. Some might enjoy the massive tanks filled with unimaginable underwater creatures, others may prefer to take a walk and see what’s behind every bend (make sure you have lots of time! ), while thrill-seekers will be in their glory sliding down slides surrounded by sharks in the water park. 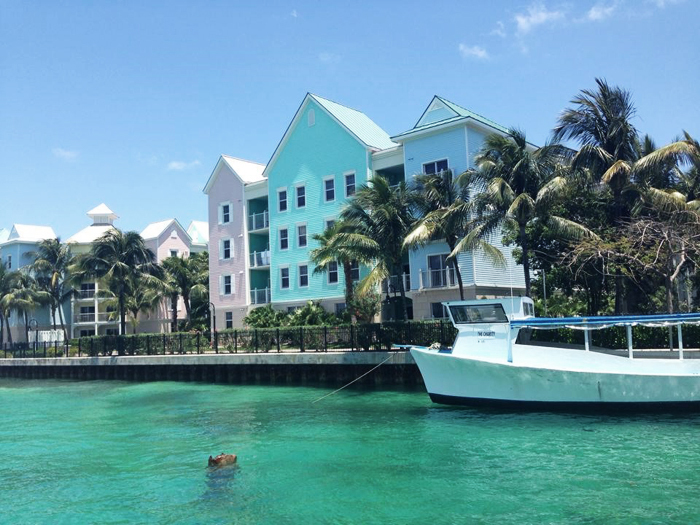 While staying at Atlantis, try a water taxi to escape and head into town. It is definitely worth the experience and only takes about 15-20 minutes. The view of Atlantis in the distance and the vibrant downtown nearing is a sight to see. 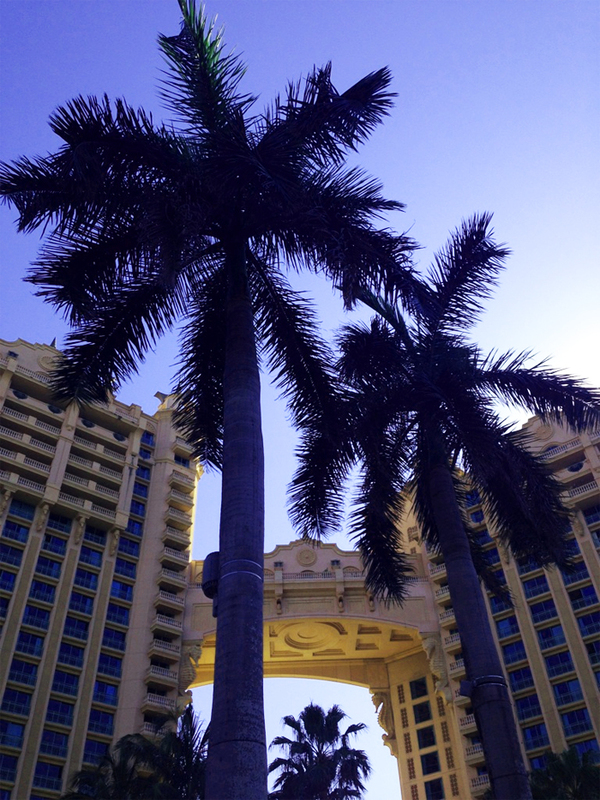 Even if you are stopping by Nassau just for a short time, Atlantis tops the “must see” list. I’ve stayed at Breezes Bahamas in Nassau several times. This hotel might be smaller in size compared to others, but it is filled with a lot of heart. It is undergoing a lot of stunning upgrades throughout the property and will be even more of a gem when completed. You can enjoy daily activities with the entertainment staff from dance lessons to bingo. 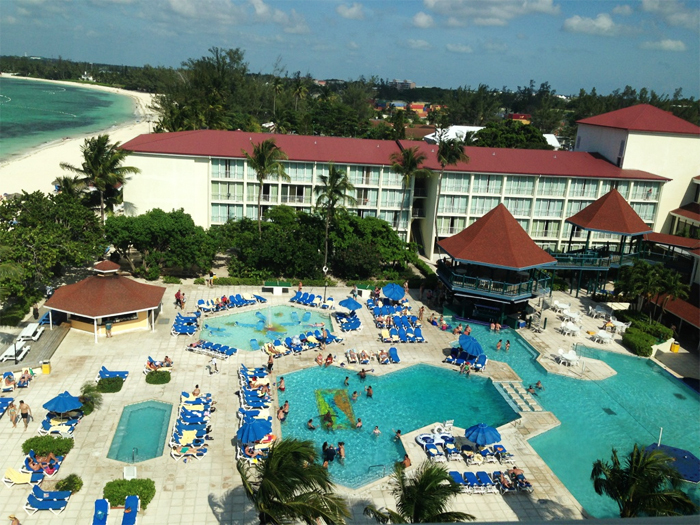 If that is not your forte, pull up a lounger, enjoy the sun and let your ears enjoy some Bahamian music. For guests that are a little more brave or wanting a new experience, the rock wall and trapeze is there for you to try. Some enjoy spending the day in the pool while others take a few steps to the ocean. Don’t forget to bring your snorkel gear and camera! Make your way down to the ocean and enjoy a memorable sunset. While staying on Cable Beach I have seen some of the most peaceful sunsets to date. 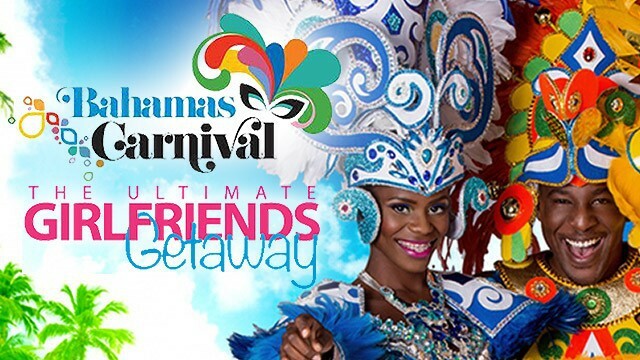 At night, the energy is even stronger, with entertainment ranging from Breezes’ in house band to theme parties such as toga nights. Don’t forget to bring your dancing shoes to end your night at the disco or for a more relaxed setting, head to the piano bar. If you’re looking for a clean, energetic (there are areas to sneak off to if you are seeking relaxation), all inclusive, adults-only resort, take a peek at Breezes Bahamas. 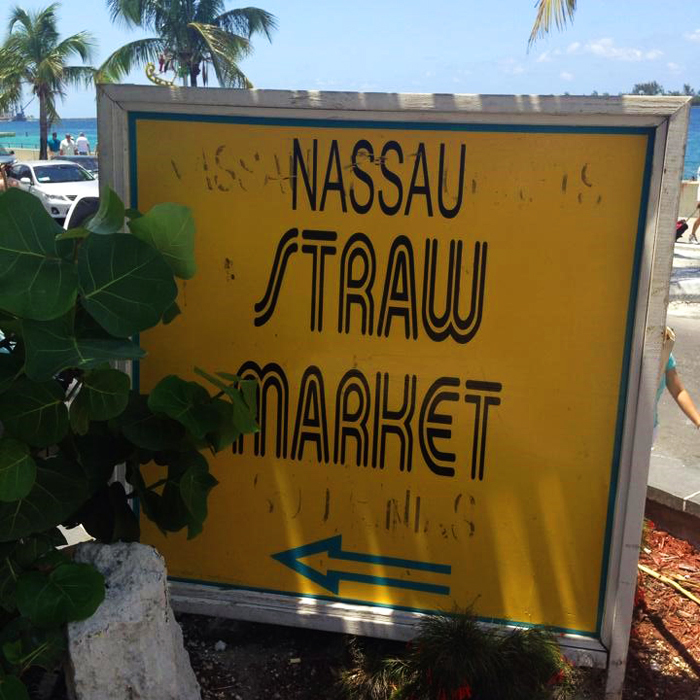 During your stay in Nassau, don’t hesitate to ask if there are any hidden gems around the island. I can assure you the fish fry will be mentioned numerous times. 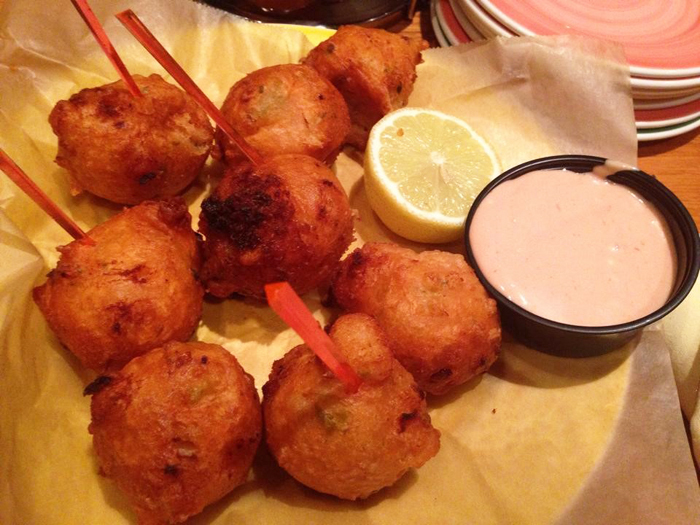 A variety of local food huts using fresh ingredients is something your taste buds will thank you for. 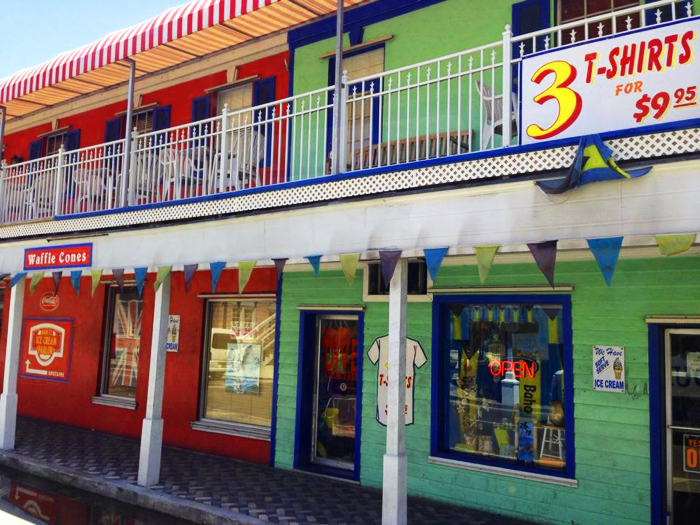 Venture off the resort to see what the island has to offer, just don’t forget your street smarts at home. Would I go back to the Bahamas? That would be like asking a travel agent if they like to travel! Of course I would! 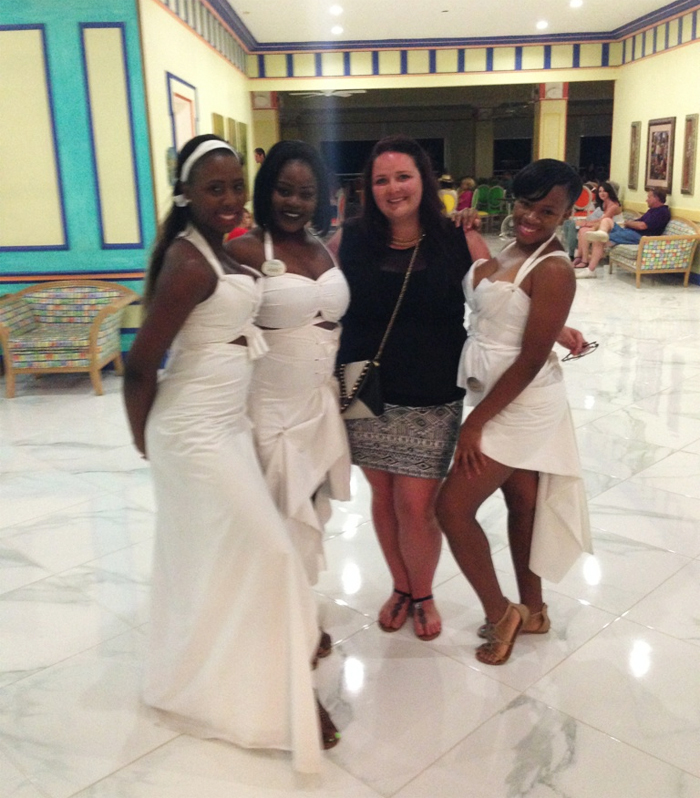 Have questions about Bahamas vacations? Contact Shannon at 1-800-665-4981 ext. 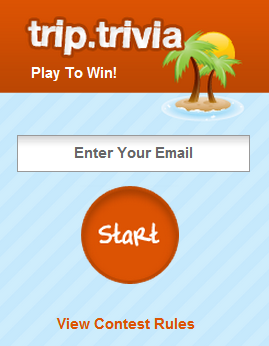 7399 or shannonvizniowski@tripcentral.ca.